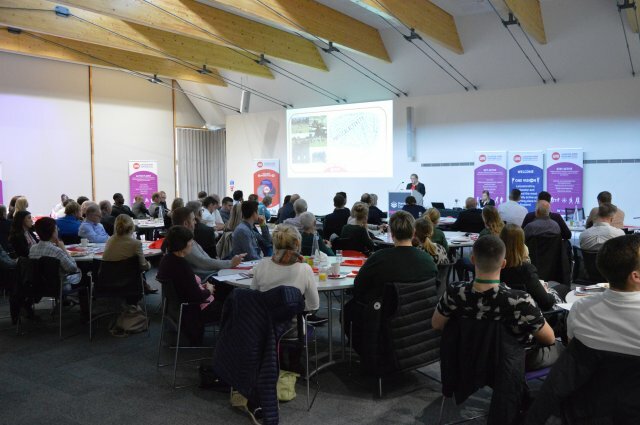 This year's theme 'Connecting Assets & Changing Minds' gave local partner organisations the opportunity to hear from a range of speakers, from national and local partners, and explore the importance of a whole systems approach to physical activity and in changing minds and increasing levels of participation. It was an afternoon which focused on networking, celebrating success and learning to help continue to strive to be the most physically active and sporting place in England, outlined in LRS' new strategy during last year's conference. Chair of LRS, Bev Smith, compered the Conference and recognised that our partnerships have been integral to landing strategy at a local level. Bev discussed the challenging environment that our partners face and the ability to work creativity and through problem solving to positively engage people in physical activity and sport. Dr Rob Copeland, Professor of Physical Activity & Health, Sheffield Hallam University and Director of the National Centre for Sport and Exercise Medicine in Sheffield, gave the audience an insight into 'A whole system approach to increase physical activity'. Urging the need to change mindsets before any real progress is made. One that will map the system based on what is important locally, to bring systems together and establish vision. Special guest 2017 BBC Sports Personality Unsung Hero winner, Denise Larrad was warmly welcomed with a Q&A with Andy Reed OBE, on a snapshot of her successful story. Denise's volunteering journey has inspired the lives of many to become more physically active and added how the social element is important, "People need to feel part of a group to stay active, this is my critical piece of advice to take away". The Economy & Sport - What Does It Mean for Us? Jo Spokes, Sports Development Manager at LRS said: "The Annual LRS Conference is a great opportunity to bring together our partnership colleagues to explore new ways of thinking, develop our networks and share good practice. The afternoon was spent exploring where and who we need to influence to integrate physical activity and sport into wider policy. The concept around 'whole systems thinking' is crucial to help us achieve our vision of becoming the most physically active and sporting place. We are looking forward to continue to work with our partnership and turn the learning from the conference into action".